The unit includes phantom power and battery supplies as standard. 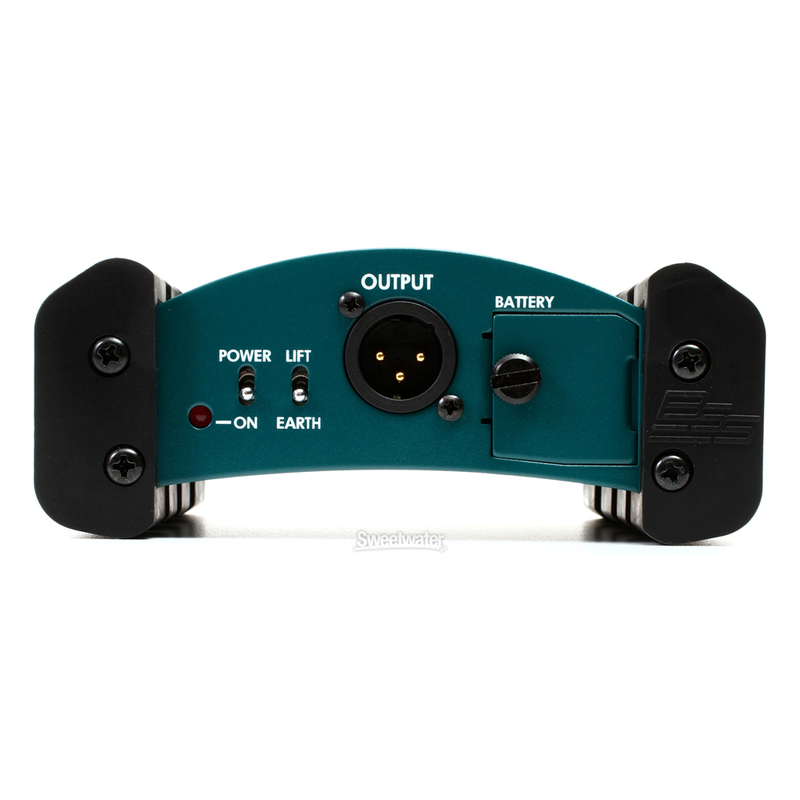 Should the phantom power from the console fail or be accidentally switched off, the AR-133 automatically switches over to the internal 9V battery providing uninterrupted use. The unit is housed in a rugged aluminium extrusion case, with robust polyurethane end-cheeks which give the AR-133 a very distinctive look. Input connectors are both 1/4" jack sockets and an XLR socket, the latter meaning that the AR-133 can be used to convert unbalanced signals to a balanced output on XLRs throughout. The arched case allows cables to run back underneath the unit from the end for neat cable management. 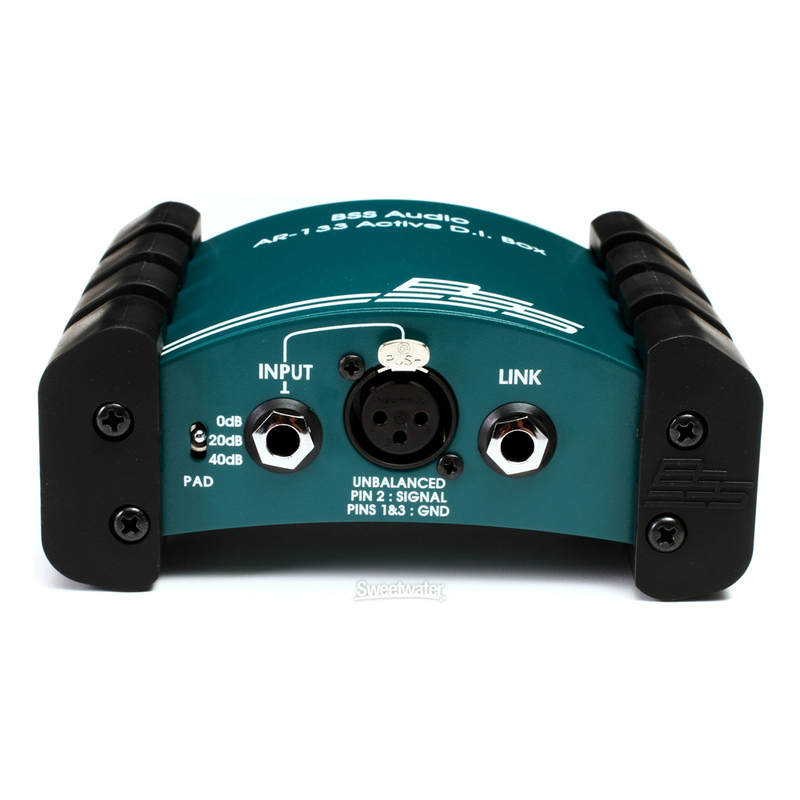 Input attenuation is 0, -20 or -40dB, making the box suitable for instrument, line or amplifier levels on inputs. On the output side, a ground-lift switch is provided for quick solutions to ground-loop problems. The AR-133 uses an enhanced version of the same audio path as the AR-116, now regarded by many people as a reference standard. The sound quality is legendary, particularly on acoustic and bass guitars. Numerous applications can be satisfied by the AR-133. For example, as well as the traditional guitar use, the AR-133 can be used with keyboards, DJ consoles, amplifier outputs, and other electronic sources. An additional bonus is the ability to use the AR-133 as an active balancing device. 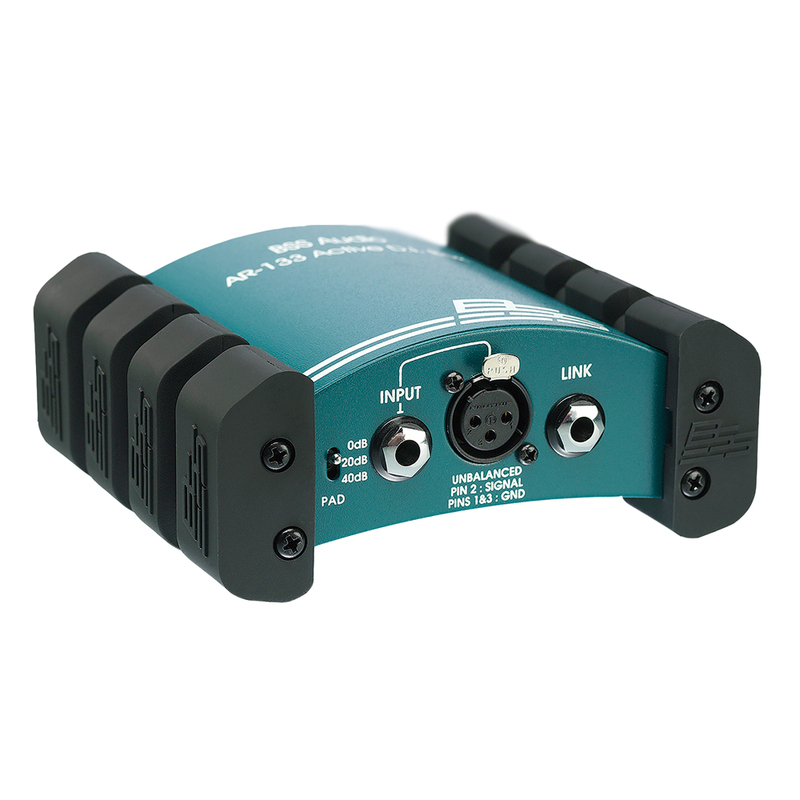 The Active Direct Inject box shall provide a transformer balanced and isolated feed from a source input via a 1/4" TRS jack or 3-pin XLR-type connector. 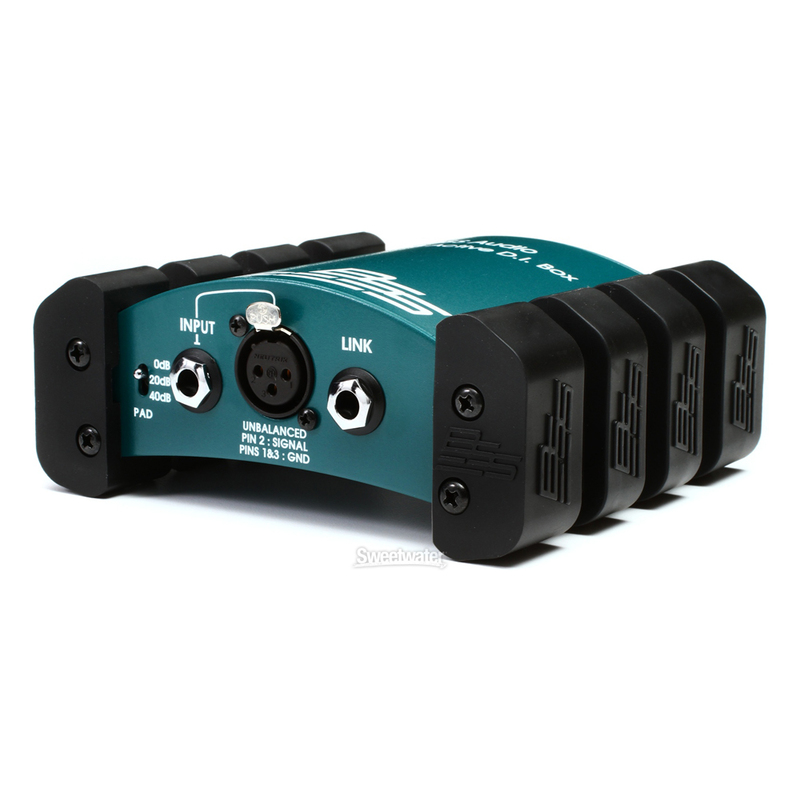 The output of the DI box shall be via an XLR connector. The unit shall also provide a 1/4" TRS jack in parallel with the input to act as a link for line bridging. The link shall be a direct feed from the input, or shall optionally be fed from an actively buffered input signal. The unit shall be powered either via a phantom power source, or via a standard PP3 type 9 volt battery. An led shall illuminate continuously to show power is provided by a phantom source, or flash approximately every 2 seconds if powered by the battery. Switches shall be provided for: EARTH LIFT (output pin 1 disconnected from unit ground), INPUT ATTENUATION (of 0, 20 or 40dB), and Power On/Off. The unit shall be housed in an aluminium extrusion fitted with isolating side-cheeks. The unit shall be sufficiently screened so it is not susceptible to external magnetic fields. 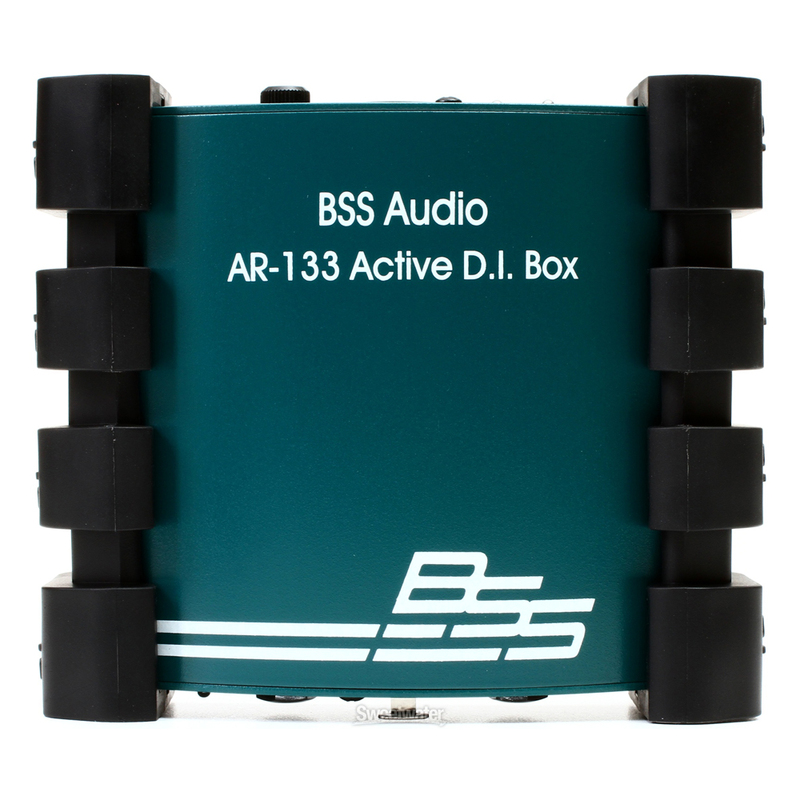 The Active DI box shall be the BSS Audio AR-133. on phantom: less than 7.5mA, on battery: less than 2mA.